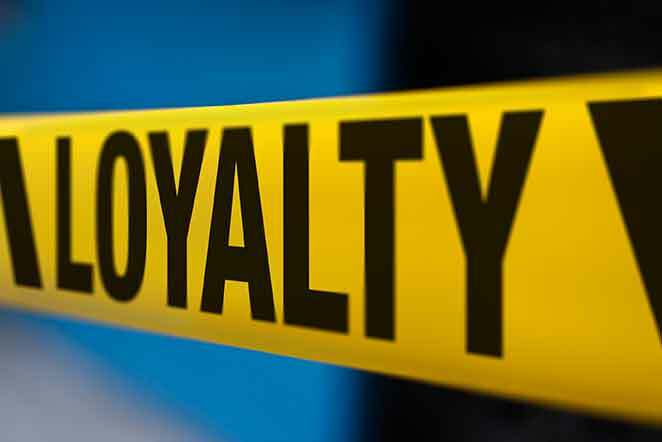 A Cautionary Tale in Loyalty Marketing | circus strategic communications inc. When it’s personalized and sincere, loyalty marketing can be extremely effective. When it’s done poorly, it can damage a brand’s relationship with a customer, as I experienced recently. At that moment, I felt more like a party crasher than a loyal customer. Why didn’t I know about this promotion? A big miss in the Loyalty 101 playbook. As a marketer, I saw myself in the “active evaluation stage” on this brand’s loyalty loop. Too bad they didn’t. Given the age of our car, my husband and I were considering a new purchase, but hadn’t yet reached a decision. We had previously purchased from this dealership. They failed to make the connection. Still, the promotion was tempting. We ended up buying a new car from a sales rep, “Maria” who mistakenly thought her job was done that sunny Saturday. On the day we took delivery, Maria left early and we found someone else to help us. A week later, Maria called us at home. Initially, I thought she was calling to thank us for our purchase and to see whether we were happy with it. Instead, she was calling to ask when we planned to pick up our new vehicle. Wait, what? Maria missed the chance to give me an incentive to share my new car experience with my network by word-of-mouth. In a hurry to get out of the rain, I didn’t stop to look at the return address until I went inside. I didn’t recognize the name of the sender, “Darrell,” and it made me curious. The return address was from the car dealership where we purchased our new car. Taking a closer look, my name wasn’t hand-printed after all. Still, I thought that a thank you note would be a nice touch. Instead, I pulled out a flyer announcing the dealership’s new car inventory, complete with pictures. I was just another name and address on their mailing list. Apparently, this dealership could capably track my vehicle’s service history but not my purchase history. It’s shocking when you consider that this brand’s name appears on a Top 100 List of Global Brands. By not investing in CRM, the brand missed the biggest opportunity – me. I felt passed over. In order to build customer loyalty, a brand needs to consistently track all points in the customer journey and leverage opportunities to engage and activate at each stage. If only Stan, Maria and Darrell would get in the same room and figure it all out! Until then, I remain a repeat customer, but not a loyal one.